If anything those stories would have better relevance if they were swapped over IMO. I suppose there’s a certain irony in this categorisation (you wont get this unless you’re Irish or have had the fortune of interacting with the Irish Health System). But it just goes to show that algos have a long way to go before they can really ‘get it’. 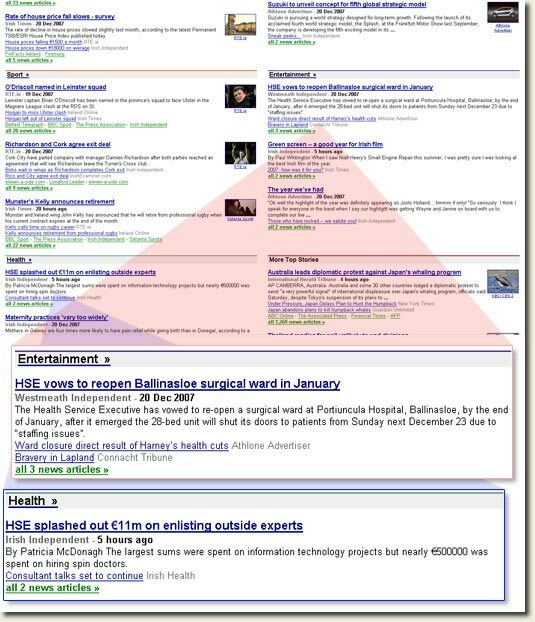 Anyone else seen any queer results in Google’s Irish News aggregator?